There is suitable terrain for cross country skiers or the ski mountaineers. However, bring your own ski equipment, as there isn´t any ski rent nearby. the Krkonoše cross-country main track „Krkonošská magistrála“ runs not far from Labská bouda. 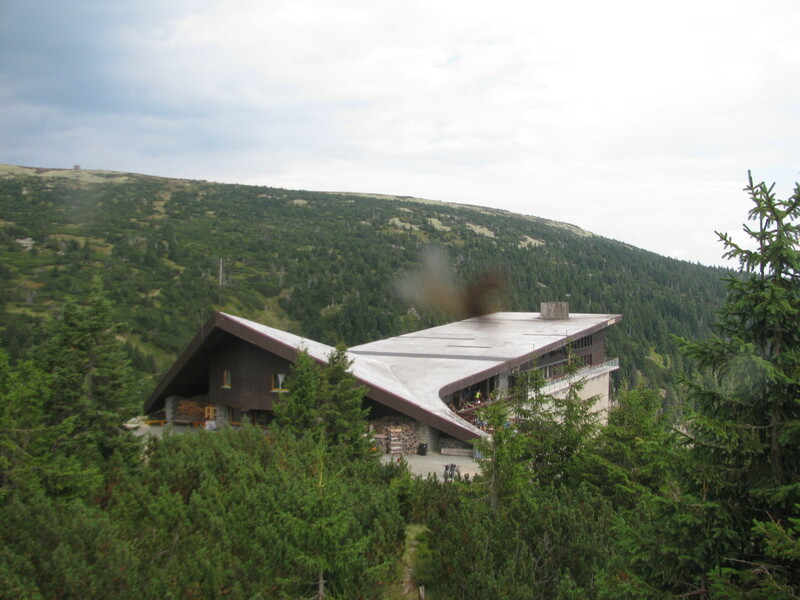 Its total length is about 80km and it runs from Harrachov, past the chalet Vosecká bouda, over the Elbe meadow and the crossing „U čtyř pánů“, past the chalet Vrbatova bouda, over Horní Mísečky…..as far as Žacléř. Ski touring combines climbing up the mountains and beautiful downhill skiing in open terrain. You can find a few recommended routes on websites of KRNAP (National Park of Krkonoše Mountains), they often go through parts that are inaccessible in summer, and some of them are unmarked.